Legionella is a bacterium that causes Legionnaire’s disease, a rare but potentially fatal lung infection. While employers should be aware of their responsibilities and the actions required to control Legionnaires’ disease in the workplace, they are not the only people who may need to be concerned with this subject. The control of legionella and Legionnaires’ disease in the workplace falls under the broad area of health and safety, but anyone else who has responsibility for a water system of some kind should also be fully aware of what they must do to comply with the law. In the UK there are various stages you must go through and follow in order to properly control the risks presented by Legionella bacteria and Legionnaire’s disease. We will deal with the first broad stages here; the remaining ones will be covered in part two of this article. A legionella risk assessment is a very important part of the risk management process as it will enable you to discover whether there are any real risks that need to be managed. You do not have to do the risk assessment yourself; indeed, many people would probably be better off enlisting the services of a professional risk assessment company like Legionella Control International to do it for you. 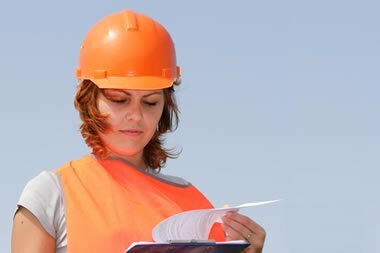 What’s involved in the risk assessment process? The Legionnaires risk assessment must be comprehensive. It should go into detail regarding the water systems present, how they work and what the levels of risk are. The issue of competence is also important. Who is responsible, knowledgeable and trained to carry out checks and to ensure the risk of Legionella bacteria growing in your water, and potentially exceeding acceptable levels is carefully controlled and managed effectively at all times? It is also important to remember, one legionella risk assessment may not be enough, either. It should be reviewed and repeated as and when required. No two situations are exactly the same. This is why a competent person must take charge of managing the risks the assessment has highlighted. If you do this yourself, you must have received suitable legionella training in how to do this properly. However, while hiring someone else from outside the business is a good idea, it does not absolve you of responsibility. You should always check that the work being done on your behalf is to the standards required. What legionella training resources are available to support me? Can legionella risks be prevented? In most cases, the risks associated with Legionella bacteria and Legionnaires’ disease can be controlled in line with the standards set. For example, using controlled water temperatures (keeping hot water hot, and cold water cold) or adding specialist biocides and disinfectants to the water system may prevent the bacteria from multiplying to unacceptable levels. In other cases, changing the system you are working with could be a better option. As you can see, this is not a process to be rushed or done without due care and attention. We will progress with the remaining stages in part two of this article.